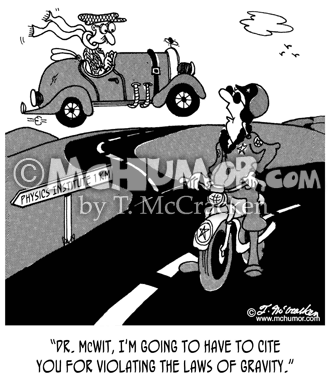 Physics Cartoon 5077: Highway patrolman saying to an eccentric in a floating car outside the physics institute, "Dr. McWit, I'm going to have to cite you for violating the laws of gravity." 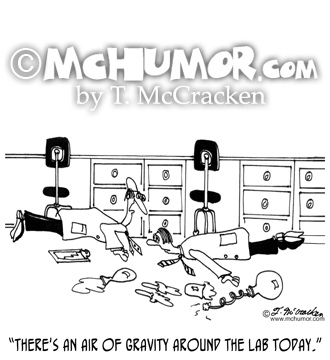 Physics Cartoon 5896: A scientist lying squashed on the ground saying to another, "There's an air of gravity around the lab today." 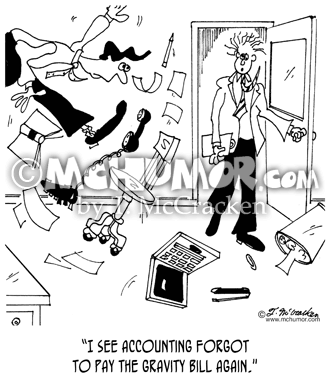 Gravity Cartoon 7165: As things float in the around an office someone says to another, "I see accounting forgot to pay the gravity bill again." 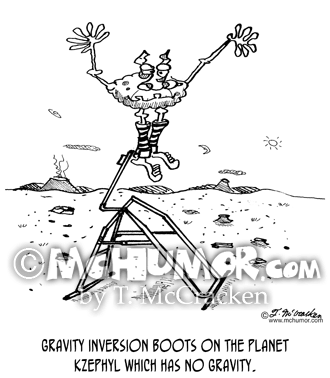 Gravity Cartoon 1669: "Gravity inversion boots on the planet Kzephyl which has no gravity." 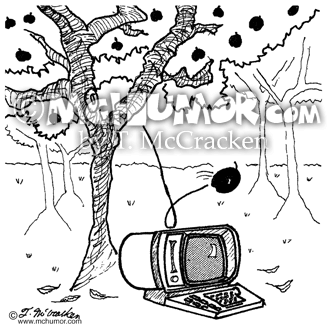 A space alien floats upward. 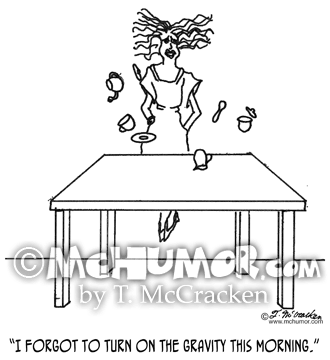 Gravity Cartoon 0333: A woman floating her kitchen says, "I forgot to turn on the gravity this morning." 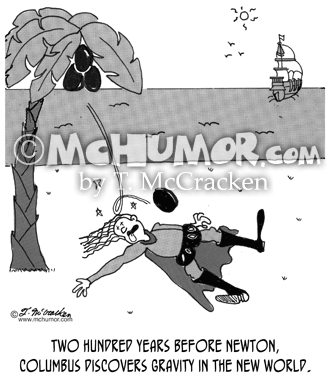 Newton Cartoon 1334: "Great Moments in Computing #192: Newton discovers the computer." 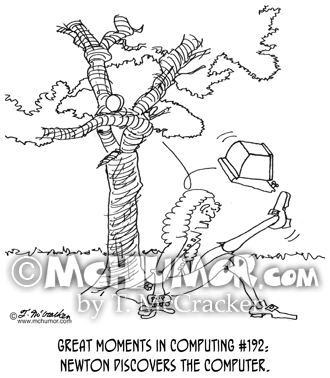 A computer falls out of a tree onto Isaac Newton's head. 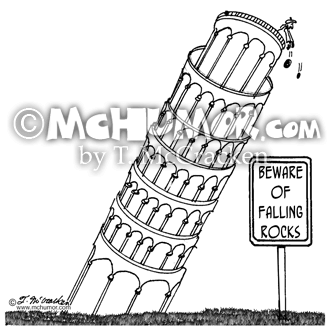 Galileo Cartoon 0958: A sign at the Leaning tower of Pisa where Galileo is dropping objects says, "Beware of Falling Rocks."